Location: Faverolles, in the Cantal departement of France (Auvergne Region). Ownership / Access: Bosquillon Family of Jenlis and Fontant. Opening Times: July 6 to August 31: daily. From 1st May to 31 October by appointment. 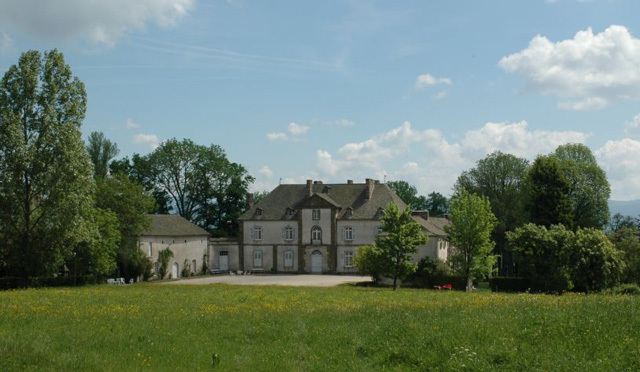 Notes: Château du Chassan is located in the town of Faverolles in Cantal, in the region of Saint-Flour. The Ponsonnailles Grisols family owns the medieval castle called Castle in the village Faverolles. At the same time existed where the present castle is the "little castle Chassan" composed of the current south wing and a big tower. In the eighteenth century, Jean Francois Ponsonnailles of Grisols (1785) - whose wife was Gabrielle Falcon Longevialle - demolished the old medieval castle and carry stones and furniture to build the present castle. The castle Chassan comprises a central body with two five-span joint wings forming a square courtyard. French garden. Registered with the additional inventory of historic monuments. Visits from July 6 to August 31: Daily from 14h to 18:30. From May 1 to October 31, by appointment.